Since 1917, Cleveland Metroparks has been committed to a mission of conservation, education and recreation. The Park District is a four-time National Gold Medal Award Winner for excellence in Park and Recreation Management. The Emerald Necklace, as locals refer to it, boasts 23,000 acres of green space comprised of 18 park reservations, provides 300 miles of recreational trails, 8 golf courses and a world-renowned Zoo. Cleveland Metroparks offers endless opportunities to connect with nature through recreational and educational programming. Guests can visit Edgewater Park, perfect for walking, stand-up paddleboarding or catching a sunset. Opportunities for hiking, running and biking are available throughout downtown. The free water taxi, courtesy of ArcelorMittal, connects the East and West Banks of the Flats and provides additional opportunities for exploration. A world of experiences is available at Cleveland Metroparks Zoo. Over 2,000 animals including elephants, giraffes and gorillas provide opportunities for guests to learn about the Zoo’s conservation mission of securing a future for wildlife. Since 1995, Cleveland Metroparks Zoo has contributed more than $6.5 million to wildlife conservation efforts around the world in partnership with Cleveland Zoological Society. The Zoo is one of the first AZA institutions to establish a field conservation program. 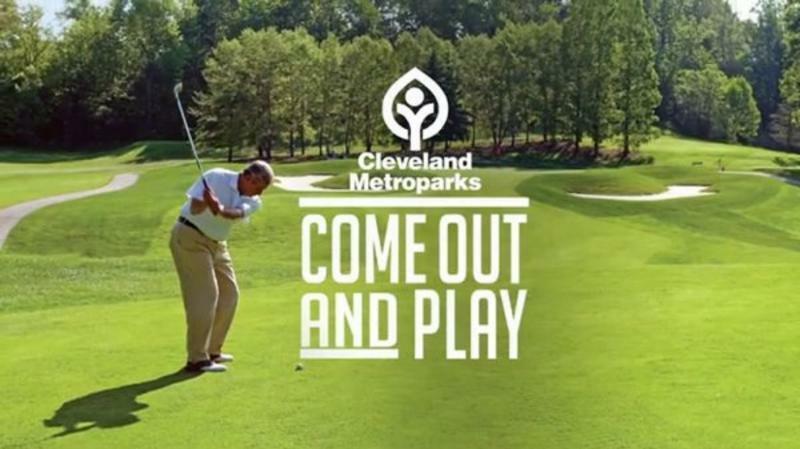 Cleveland Metroparks offers the perfect opportunity to play, with 8 golf courses located conveniently throughout Northeast Ohio. The golf courses vary from an executive course located 10 minutes from downtown Cleveland at Washington, to championship layouts at Manakiki and Sleepy Hollow, both have been named GolfWeek’s Best Public Courses. Whether you’re a beginner or a pro, each of the Cleveland Metroparks golf courses offers a unique golfing experience. Golf clubs are available for rent. Scenic dining opportunities are available throughout Cleveland Metroparks. Guests can enjoy dining on the water year-round at Merwin’s Wharf on the Cuyahoga River, located on the East Bank of the Flats and seasonally at e55 on the Lake. Made to order fare is available seasonally at the new Edgewater Beach House, The Hut at Huntington Beach, and The Pier Grille at Edgewater Beach. Click Here Plan Your Visit to Cleveland Metroparks Today!